Stars have fascinated humans since the dawn of our evolution. Stars have been used by sailors to navigate their way around the mighty oceans, by the Mayan Civilization to map out a calender for the next few millenia, by numerous astrologers to predict the unforeseen and also by astronomers who have studied them and sent satellites to capture breathtaking glimpses of galaxies many light years away. They have stirred imaginations to pen stories about them, had the roots of mythologies circle around their constellations and made ordinary people gawk in wonder at their extraordinary beauty. I am one of the people who have always been enchanted by their surreal beauty and luminescent magnificence. As a little child I would run to the roof terrace of our house and just stare in awe at the stars. 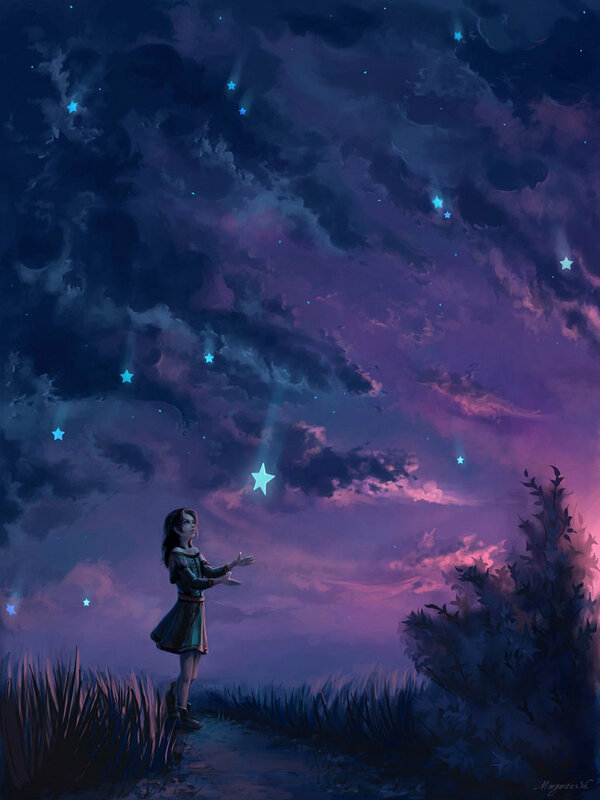 I used to feel that stars were glimpses of heaven and hence God. I was quite a bookworm when I was young, so read the different stories of Greek and Roman mythology as early as fourth grade. I learned all the constellations of the stars and even figured out how to identify different stars in the night sky under the blind eye. I was so fascinated with stars in my childhood that I even asked my dad to get me a telescope for my birthday. However I think I was probably too young and telescopes must be expensive and technical so my dad practically got me something else as a nice present. I still want to get a telescope one day, though considering I live in the middle of the city, it won't be of much use unless I travel to relatively more remote areas where the street lights don't brighten the night like the day. One day inshAllah (God willing). My favorite memories of stars have to be from a trip I took with LUMS Adventure Society (my university's adventure society) to Hunza in Pakistan. Hunza lies in the majestic himalayan mountains of Pakistan. Due to the high altitude and lack of lighting there, during the night time the stars appear as if they are huge bulbs hanging from the sky. I was so 'star struck', pun intended, that the first night there whilst we were walking over a hilly area, I just kept looking up in awe, with friends nudging me to concentrate on the rough walk instead. I have never seen stars like that, it was as if God had lifted us up to the heavens. “Mortal as I am, I know that I am born for a day. But when I follow at my pleasure the serried multitude of the stars in their circular course, my feet no longer touch the earth.” Ptolemy. I still believe stars are one of the wonders of life, God's master strokes in his universal painting. I am sharing below a beautiful timelapse which has captured the night sky with its star embellishments in full glory. Assalamu alaikum, I just wanted to ask you if I could use your image. I would, of course, give you the credit so could I use it, please?